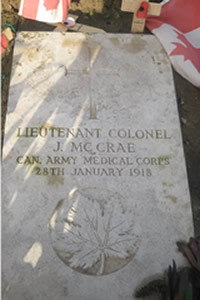 As stated by John McCrae’s close friend and former Ottawa newspaper editor, Commanding Officer Lieutenant Colonel Edward Morrison. Borrowing its structure from the sonnet tradition, the In Flanders Fields poem is a complex poem. John McCrae gives us three distinct verses full of contrast and imagery offering the reader a poignant insight into McCrae’s thought processes as he conveys his message in verse. John McCrae’s use of imagery such as “poppies blow between the crosses row on row” and “the torch be yours to hold it high” has since become a part of our collective memory of war. 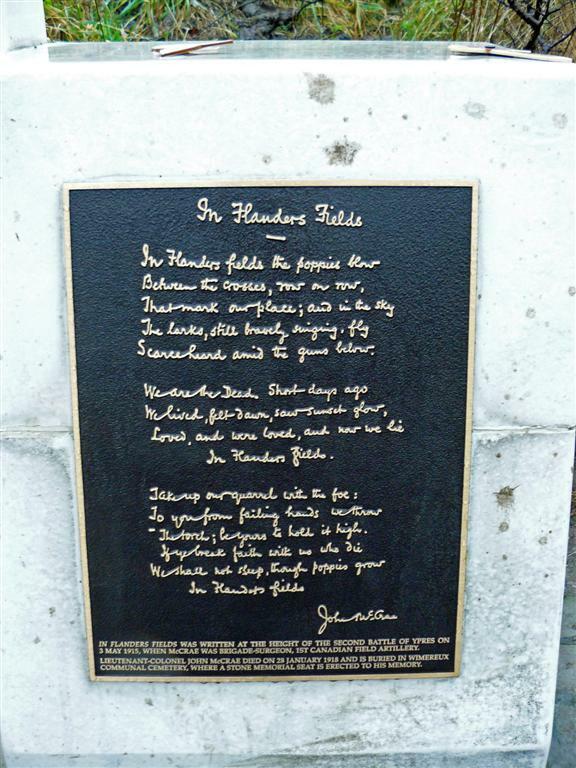 Distribute copies of the In Flanders Fields poem (Data Sheet #1A) to the class, listen to the CD and share the “Data Sheet #2” essay information with your students. The analysis of the first two verses is designed to introduce students of all ages to literary devices used in poetry. The analysis of the third verse is intended for exploration with students in Grade 4 and up. The interpretation of the third verse has elicited many discussions over the past 90 years. Is this poem pro-war and about revenge …or is the poem anti-war? Could it be neither?